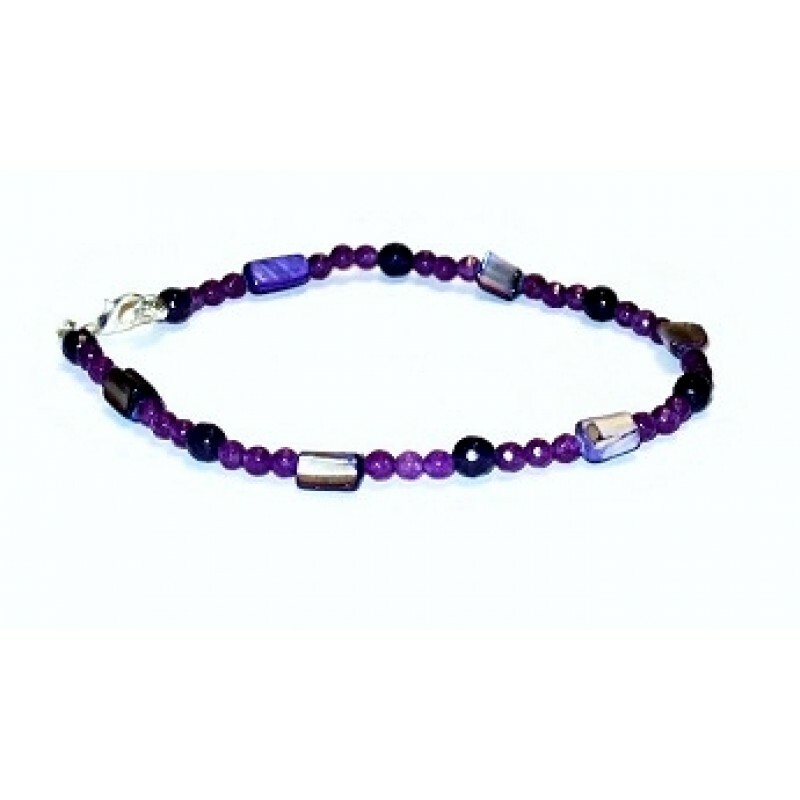 Accessorize your ankle with this stylish purple beaded anklet. 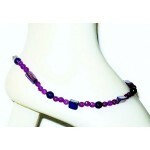 It consists of mother-of-pearl shell beads, and faceted jade beads. 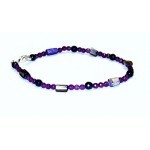 It is finished with a silver-plated lobster clasp and measures 10 1/2 inches.